Lenin once famously said that ‘[t]here are decades where nothing happens; and there are weeks where decades happen’. This aptly describes the dizzying political sea change that Ethiopia has been going through since 2 April 2018, the day that saw the election of Abiy Ahmed as the Prime Minister. Since then, the country has witnessed political reforms that, if sustained, will soon herald a new era of democratization and human rights. The media is now relatively free. The judiciary is headed by a prominent women’s rights activist. The electoral commission is now led by a former judge and leading opposition figure who was once jailed and exiled for her role in the disputed election of 2005 that led to the deaths of hundreds of people. A committee of independent experts has been established to revise laws that undermined human rights and democratization. The demand for political and constitutional reforms is further intensifying. The Guardian has recently advised the Prime Minister to support his reforms with ‘a proper political map and institutional backing’. In particular, the ethnic federalism that the country introduced in 1991 has attracted significant attention. Although many agree that federalism should be part of the way ahead, the ethnic nature of the federation has not been without controversy. Some have called for a constitutional reform that dismantles ethnic federalism and replaces it with other models of federalism. Although one may agree with the worrying effects of Ethiopia’s ethnic federalism, the alternatives that some are prescribing are equally worrying. Upon a quick glance, the political map of the Federal Democratic Republic of Ethiopia betrays its major foundation: Ethnicity. Unlike other federations, where geography or administrative conveniences have been used to organize the federation, Ethiopia has opted to take ethnicity as the point of departure for the remaking of the Ethiopian map. Although unusual, this was not totally unexpected. The forces that were sitting around the national table to negotiate the reordering of the Ethiopian state in 1991 were ethnic-based political parties and liberation fronts. For them, the primary question that needed to be addressed in post-military Ethiopia was the nationalities’ question – the claim that the making of the Ethiopian state was predicated on the suppression of the cultural and political aspirations of the ethnic communities that inhabit the country. Ethnicity, they declared, should be the basis for the reorganization of the Ethiopian state. It is that consensus that found its way into the current Constitution. The federal experiment saw the creation of nine regional states. The ethnic foundation of the federation is particularly apparent in five of its nine states. This is not only because each of them is predominantly inhabited by one particular ethnic group. They are also named after the dominant ethnic group inhabiting the territory. Ethnic trait is not completely absent in the makeup of the remaining four states. Although these are not predominantly inhabited by one ethnic group, the designations of some of these states and their internal organizational structure, that includes ethnic-based local governments, indicates that ethnicity is taken seriously in the political and organizational make-up of the states. The problem with the Ethiopian federalism is not that it is sensitive to ethnic concerns or that it takes ethnic bonds into account in the making of Ethiopia’s federal structure. The attempt to build the identity of the state along a single language, for example, has not fully succeeded. There was also no success in making ethnicity a non-issue in the political discourse of the country. Given the political relevance that ethnicity has achieved in the country, the history of ethnic-based conflicts and a nation-state building project that has not fully succeeded, it was unavoidable that the country needed to come to terms with the ethnic tensions that characterized its political history. A constitutional design that is sensitive to ethnic concerns was unavoidable, if not desirable. And to be fair, the system has not been without its benefits. The decision of the Ethiopian state to take ethnicity seriously, perhaps too seriously, in the political and geographical reconfiguration of the country has undeniably promoted the cultural and political status of groups that were hitherto marginalized in the past. The cultural upliftment is particularly palpable. A country that for ages used only one language as an official language of communication has now given way to a federation whose constituent units use different languages for the purpose of government business within their respective boundaries. That has extended to the education sector where many languages are now used as medium of instruction at least in the early stages of most primary schools. Perhaps the most colorful manifestation of the cultural upliftment comes in the form of the reintroduction of annual traditional celebrations that are attracting thousands of people and are taking the form of ‘carnival’ or ‘street festival’. The political upliftment is not equally palpable. In as much as the system provides opportunities for communities to manage their own affairs, true and full empowerment of communities has remained elusive. The original sin of the Ethiopian federalism is, however, that it has made ethnicity the exclusive basis for state organization. The federation is organized as if ethnicity is the only political identity that matters. This has elevated ethnicity into a primary political identity based on which political competition or cooperation should be conducted. This is the reason why, when the new prime minister recently met with the leaders of about 81 political parties, more than two third of them were ethnic-based parties. It is also the reason why the country is currently facing a floodgate of demands by ethnic groups to have their own state. It is also because of the elevation of ethnicity to a primary political identity that the federation has to continuously entertain demands from some ethnic groups that, in search of ‘their homeland’, are demanding to be transferred from one state to another as the system has left them with the feeling of being outsiders in the area they have traditionally inhabited. It has also relegated millions of individuals to second-class citizens. Individuals that do not belong to the locally empowered group often face discrimination in areas of political rights, employment and other benefits offered by the states. Some are recommending that Ethiopia dismantle ethnic federalism and move towards a territorial federalism that does not take ethnic bonds into account. The prescription to move towards a territorial federalism is, however, a non-starter, at least for now. A proposal to introduce a model of federalism that totally ignores communal bonds is exactly what the protesters ‘that brought the government down’ do not want to see. Ethiopia was rocked by protests for three years not because of ethnic federalism. The young people in Oromia, home to the Oromo, the largest ethnic group in the country, took to the street not because they were concerned of the deepening ethnic tensions that accompanied the introduction of ethnic federalism. They protested because they felt the empowerment of their ethnic community as promised by the constitution has not been fulfilled. What they requested was not to do away with the consecration of ethnic considerations in constitutional terms. They were rather demanding greater fidelity to the ethnic aspects of the federal constitution. A prescription to move towards territorial federalism might thus appear imprudent given the protests that spread like wild fire across cities and communities in Oromia were primarily driven by the demand for more ‘ethnic federalism’. Territorial federalism might have been a viable path in 1991, long before ethnic federalism took root. Now, Ethiopia is a country with 27 years’ history of ethnic federalism and a living example to the adage that ‘it is not identities that create territories but territories that create identities’. There might not have been an Oromo nation. Thanks to ethnic federalism, the Oromo, who had always had an uneasy relationship with the state, have now lived under a single Oromo state that has used its full resources to promote the idea of an Oromo nation. A territorial federalism that completely does away with an Oromo state in any near future might send the country into a spiral tensions from which it might be difficult to emerge. Apart from the Oromo, even the Amhara, the second largest ethnic group which is usually seen as an embodiment of Ethiopian nationalism, is so much gripped by the fervor of Amhara nationalism that any talk of eliminating the eponymous state would just not go well. The same would be true in Tigray and Somali state, home to the Tigre and Somali, the two other large ethnic groups in the country. Given the current political reality, a call for territorial federalism would simply mean adding fuel to the fire. For now, the time for territorial federalism has passed and remains a rather distant possibility. This is not to suggest that ethnic federalism is the only response to ethnic concerns as it is not the only model of federalism that can take ethnic concerns seriously. What Ethiopia needs is a system that accommodates ethnic concerns while at the same time recognizing the sense of communal bond that Ethiopians enjoy beyond their ethnic groups. What is needed is a model that takes ethnic concerns into account without making ethnic identity the only identity that matters. The institutional imaginations of Ethiopians and those who care about Ethiopia should not be limited to ethnic and territorial federalism. 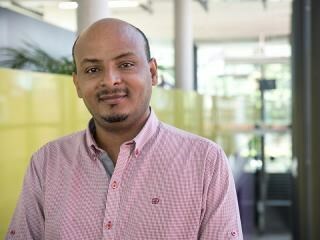 SUGGESTED CITATION Fessha, Yonatan: Ethiopia’s Ethnic Federalism: Part of the Problem or Part of the Solution, VerfBlog, 2019/1/23, https://verfassungsblog.de/ethiopias-ethnic-federalism-part-of-the-problem-or-part-of-the-solution/, DOI: https://doi.org/10.17176/20190211-220709-0. Well prepared, what ever so, I want to strongly united and developed ETHIOPIA. It is possible to devise a bicameral federal system (House of Peoples' Representatives(HPR) and House of Peers(HP)) made up of Territorial Federal Constituent Units(TFCUs) and Non-Territorial Federal Constituent Units (NTFCUs). 1) Each province/regional state would be referred to as a TFCU and each ethnic group would be defined as a NTFCU. 2) Members of HPR are elected representatives from TFCUs and number of members from each TFCU=numbers of constituencies in the unit. 3)Members of HP are elected representatives from NTFCUs and number of members from each NTFCU= 1/3 times base ten log of N, where N is the total population of the unit. 4) HPR and HP would have equal legislative power. 5) Afan Oromo and Amharic should be official languages of the Ethiopian state. 6) Each ethnic group’s right to speak, develop and promote its language should be protected by constitution. 7) Territorial administrative units, at all levels, should be defined as public, not ethnic. 8) Each territorial administrative unit should be able to pick its own official language, preferably the language of local majority. 9) Presidential-parliamentary(hybrid) system would serve Ethiopia well.